Retrodictions are predictions about the past. They are a specific kind of hindsight, a very important but often-neglected aspect of foresight education and practice. The most helpful retrodictions we can make are predictions about how the present would very likely have been different, if we had made different choices in the past. The more common name for retrodictions is counterfactuals (alternative histories), and that’s the term we’ll use more commonly in this Guide. In evo devo terms, the most difficult to see, per the 95/5 rule, but also inordinately useful counterfactuals involve developmental thinking, the recognition that there are certain trends that are highly likely to continue, regardless of what we may want. Progress counterfactuals are a subset of retrodictions which are of particular interest to better foresight and leadership. There is certainly value in regressive counterfactuals, stories of dystopias that we successfully avoided. Both past and future dystopias also sell much better with the general public, as we are evolutionarily biased to look for dystopias first and fast, and protopias only slowly and warily afterward. Dystopias are also much easier to write. To paraphrase Dostoyevsky, there are many evolutionary ways to fail, but only a few developmental ways to succeed. Again, in a common theme in this Guide, I think it is the discovery of those neglected progressive developmental paths, which we can often see much better with the passage of time, that are the most valuable kind of hindsight for the foresight leader, in all four of our practice domains, Personal, Organizational, Global, and Universal. These are also probably the hardest kind of counterfactuals to find and justify, even with the benefit of good history and hindsight. Evolution is typically very good at exploring all the possible paths, and natural selection will usually get us quickly to better solutions. But the more intelligent we get, the more that selection is intelligence guided, and sometimes our intelligence fails us. Seeing the existence of significantly better roads that were within our understanding and reach, yet for various reasons were not taken is an excellent way to explore at least two core processes, for ourselves and others: the responsibilities and limits of leadership, and the nature and limits of progress, at any point in our evolutionary development. To lead ourselves and others to a substantially better world, we must strive to better understand and guide each of these processes, as best we can. Recall that we introduced progress hindsight briefly in Chapter 1. We mentioned that counterfactuals can be regressive/dystopic (Hitler wins WWII), neutral (having no clear effect on global progress) or progressive/protopic. For two good collections of all three of these types, see Ferguson’s Virtual History (2000), and Cowley’s The Collected What If? (2006). This section of the Guide offers a starter set of progress counterfactuals that seem particularly instructive, from my perspective. Our collection is only a modest start. We have arranged them in chronological order, with a subjective estimate of the time at which potentially better choices could have been made, with better progress foresight, but were not, as each story argues. This chronological order reminds us of the importance of time, one of our most precious resources. Dear reader, please don’t waste another moment! Start building better foresight today, for yourself, your family, your organizations, and the world. The future needs your good ideas, strategies, and actions, right now. Enjoy these stories, and please send me your own! These counterfactuals are roughly categorized in the STEEPS categorization (Science, Technology, Economics/Entrepreneurship, Environment/Resources, Politics/Policy, and Social Activism/Social Culture) of important foresight topics, based on a subjective assessment of the top categories in which better strategic foresight and action might have led us to significantly better outcomes than the history that actually occurred. There are of course thousands of important progress counterfactuals we could easily imagine. One fine year I expect we’ll see a whole field of graduate study in this topic emerge. In the meantime, we can do what we can to help this way of thinking grow and and improve. From an evolutionary developmental perspective, counterfactuals can help us mentally imagine what futures would have eventually turned out the same regardless of past human choices (developmental futures, like math, electricity, computing, and increasingly, smarter-than-human machines), what futures would have likely turned out differently based on our choices (evolutionary futures), and what actions with respect to both kinds of processes might have led us to a better world. As managers, activists and leaders, counterfactuals help us understand what things we should try to influence, what forces and trends we should not fight against, but try to use to our advantage, and what things we can ignore. By showing us how better foresight, innovation, and leadership at the right time and place could have changed our history for the better, progress counterfactuals can help us see that better foresight and leadership today can greatly improve tomorrow. Reading them, we can begin to understand, and to feel deep in our gut, that the right foresight, coming to the right people at the right time, can profoundly improve the pace and outcomes of civilization. They inspired the slogan of this Guide: Foresight matters! Can you think of other episodes in history where a leader, with better foresight, could have substantially improved the course of history, for their society or the world? Can you think of the foresight or Eight Skills lessons that this history, and the road not taken, offers to modern leaders? Has someone already written up this counterfactual, at least in part? If not, would you like to write it up, or have us write it up instead? Let us know. Human history began at least 5,000 years ago, so we have a lot of time and experience to pull from. Some of these counterfactuals are low probability futures. They would have required a significant amount of foresight, a critical innovation, and/or courageous leadership to emerge. Others are higher probability. A good counterfactual should seem both valuable and at least plausible, under the right conditions. Great progress counterfactuals should first pass a test of plausibility. Many candidates look promising at first, but as we learn more of the history around them, we can usually discover one or more “fatal flaws” in the counterfactual prediction, and one or more good reasons why they never occured. Discovering the hidden flaws in our visions of more progressive futures is itself a great learning experience. Science and Invention, Nov 1928. V16, No 7. Source: Wikipedia. Consider the following example of a particularly progressive innovation where significantly earlier invention looks plausible, until you look more closely. Television was first invented circa 1925, nearly simultaneously in three different places: the US, the UK, and Germany. But the television industry didn’t start growing, first in the US and the UK, until 1947. Could television, and thus other features of the coming Information Age, have reached mass adoption a decade or more earlier than it did? Weren’t there better strategies that could have been used by any of these innovators? Unfortunately, Mass Market Television in the 1930’s or early 1940’s makes sense only if we substantially rewrite history. The Great Depression and World War II both greatly slowed TVs development in each of these places. Taking either of those events out of the picture makes for a much less plausible and instructive counterfactual. For this story to be valuable to entrepreneurs and leaders, we need to find a strategy that would have allowed TV to scale somewhere during the Great Depression and/or WWII. I can’t presently find such a story. Perhaps you can. Electronic television’s invention began with Philo Farnsworth, who really was most important inventor of that technology. 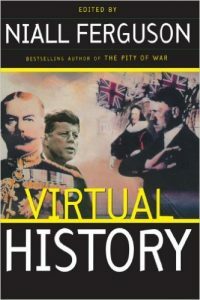 Until recently, Farnsworth was ignored or discounted by most histories, which are often written by the victors. He came up with the idea as a 14 year old boy in 1921, sketched it out for his high school science teacher, and built and demonstrated his first successful prototype in San Francisco in 1927. 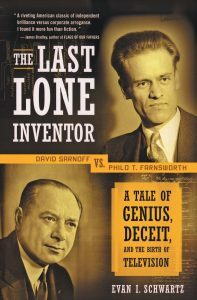 Evan Schwartz’s The Last Lone Inventor: A Tale of Genius, Deceit, and the Birth of Television 2003, tells the story in fascinating detail. In 1928, GE launched an experimental mechanical TV station, W2XB, broadcasting locally from Schenectady, NY. But the picture quality of mechanical TV was poor, GE never tried to commercialize it, and the Great Depression began the next year. Figuring out a way to greatly increase the R&D around electronic TV, and the early sales of electronic sets were the critical breakthroughs the industry needed before it could gain mass use. During the Depression years, David Sarnoff at RCA got monopoly control over electronic TV’s patents in America, its most important potential first market, and strategically slowed its development so it wouldn’t interfere with his radio empire. That is a classic counterinnovative strategy often employed by large companies to maximize short-term profits with their current, less innovative but more developed technology. If a non-monopolist had not been head of RCA, electronic television would certainly have arrived earlier, but I can’t presently see how it could have arrived a decade or more earlier, which one of my significance tests for a good 20th century counterfactual. History shows it was the Depression and WWII, not Sarnoff, that did most of the slowing of the arrival of electronic television. In the UK, the picture quality of mechanical TV of the 1930’s just wasn’t good enough, and electronic television wasn’t much better at first, from any of the the key inventors, including Farnsworth. 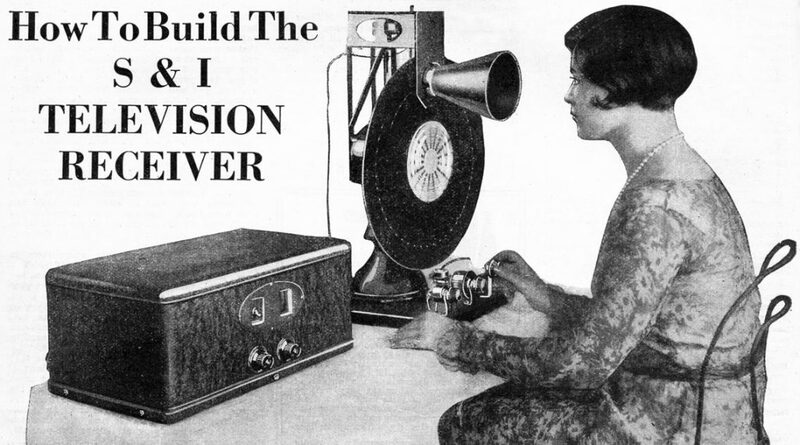 The cost of electronic TV receivers were far too expensive for mass adoption in the early years, and no one had the vision to subsidize their R&D. Some mechanical receivers were sold in the UK, but there were no production studios behind them, and they were too low-quality for mass adoption. The 1930’s Germans, the only other place where television was actively being experimented with, had no compelling reason to commercialize television. As the Nazis rose to power, they knew that propaganda works by denying and controlling information, not giving people more of it. Thus in researching television’s fascinating early history, and all its colorful characters, everything relatively easy that I thought might speed its development, including experiments with broadcast of poor-quality mechanical TV by entrepreneurial studios and radio stations in the world’s movie capital, Los Angeles, in the 1930’s, appear to have been tried, in some fashion or another, either in the US or the UK. The road to much earlier adoption just appears to have been too difficult. The best scenario I can presently imagine for early television is one where President Roosevelt, who began his fireside chats in 1933, got to see Farnsworth’s electronic TV either that year or at some point in the previous six years, recognized that its commercialization was simply a matter of talent, experiment, and funding, and then gave Sarnoff and GE a New Deal handout to develop it on an accelerated schedule, as a new educational medium for the country, and a new global industry for future American broadcasters to create and then dominate. Roosevelt could have made a speech similar to President Kennedy’s 1961 call for a manned moon mission before the end of the decade, but with television, instead of space as the goal. That scenario might well have provided mass television to America by the late 1930s, a full decade earlier than it emerged. Unfortunately, that sequence of events is just a bit to improbable to pass the plausibility test, for me. While a few early visionaries thought about television as a great societal enabler, and Roosevelt might have made that insight himself, I think he just had too much else on his hands for electronic television R&D to be a believable thing that his Administration missed. I also don’t think his technical advisors, back then, could have appreciated the superiority of electronics, in general, as a medium of technological development. We just didn’t have enough history with electronic systems to recognize their exponentially improving inner space (densification and dematerialization) potential. In sum, I think it would have required an extraordinary level of foresight for any American political leaders of the time (Hoover, Roosevelt, or Truman) to see television for what it turned out to be—one of the key accelerators of the coming Information Age. In thinking about progress counterfactuals from the 20th and 21st centuries, one significance test we can propose is a change of strategy that would have brought an especially valuable innovation or advance to the world. Another significance test is that the advance would likely have arrived ten years or more earlier than when it actually did. We each bring our own theory of progress and our individual biases to judgments of societal value and speed in such tests, so they will always be imperfect. But hopefully, the more such independent collections we make, the more useful counterfactuals can become. Let me now relate two stories that I am convinced are plausible, but that I personally don’t consider significant enough to be considered as top examples of progress missed. I’m sure some of you will disagree with my judgments, and I’d love to see these written up in other collections, in better detail than I’ve done below. Lovely docudrama. Just a bit fictional in parts, apparently. The first story comes in jet aircraft engineering, with the development and destruction of Canada’s Avro Arrow, built in Canada in 1958. This story is a lesson in how Canadian political ignorance and mismanagement, American and British political and industry pressure to eliminate competition, and perhaps too much entrepreneurial risk combined to keep a truly advanced new supersonic jet from being mass produced, twenty years before such jets finally did emerge. Five Arrows were produced in 1958-9, and then the production line was shut down and destroyed, likely to ensure that Canadian competition didn’t spring up again anytime soon. Read any of the good histories, like Murray Peden’s Fall of an Arrow, 2003, for some of the sad details, which are still partly unknown, or watch the little-known miniseries docudrama The Arrow, 1997, starring Dan Akroyd. 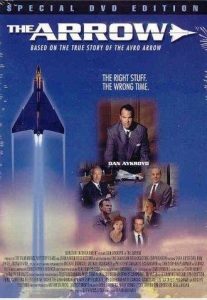 But given my theory of progress, in which STEM compression and inner space are the future of humanity, I just don’t think a significantly faster military jet, arriving twenty years earlier as the Arrow could have done, is that significant an advance in social progress. By then, missiles and countermissiles were already outcompeting jets as the cutting edge of air defense. The leading edge of human transportation and commerce was already shifting to shipping bits, rather than people. We had the first commercial fax machines in 1966, and Bell Labs demonstrated the first transcontinental videophone call in 1964. As much as we love faster jets, you’d be hard pressed to give me a military engagement where they’ve really mattered since the 1950s. Much more important to our conduct of global defense has been the development of our global digital and human intelligence, special forces capabilities, precision weaponry, statebuilding, and other functions of defense. So a faster military jet really didn’t then and doesn’t now matter all that much to the world, in my view. Perhaps I’m wrong, here and I am happy to be corrected by others. For example, it is possible that an early success in military aviation could have allowed Avro to become a third major competitor in passenger aircraft, along with Boeing and Airbus. That kind of an outcome would pass my personal significance test, as it would have big consequences for the affordability of global air travel. But that outcome would have required a level of political support and industrial competitiveness that Canada’s business ecosystem didn’t possess at the time, except in isolated firms like Avro. So that scenario doesn’t presently pass my plausibility test. Again, I’m happy to be corrected by others. If you want to gain the most from counterfactuals, have the courage to state your current versions as clearly and concisely as you can, and try to enjoy the process of getting them critiqued, which gives you an opportunity to further refine and qualify them. Remember that we are just telling weeble stories about our history here. 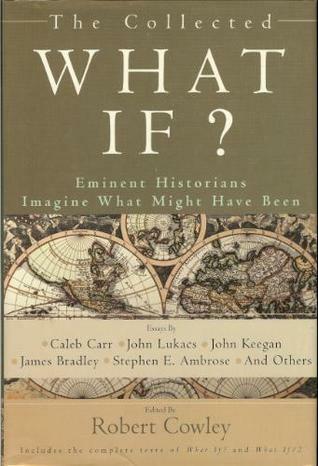 By telling our counterfactual stories clearly however, and getting them critiqued, we can better refine and prioritize our view of the opportunities and challenges of history, and that helps us better see our opportunities and challenges today. For a second and more important example of a technical advance that also fails my own significance test, let us turn to nuclear power. A brilliant book by Joseph Morone and Edward Woodhouse, The Demise of Nuclear Energy? 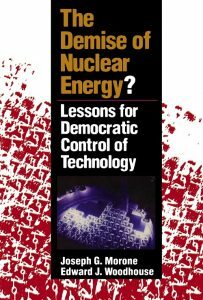 : Lessons for Democratic Control of Technology, 1989, makes the case that if our regulators had listened to the engineers, rather than the defense and business leaders, the world would have built much smaller and far more manageable and meltdown-proof nuclear power plants from the very beginning. Regulators wouldn’t have removed requirements to prove operational safety for large reactors, the way they did in both the US and USSR, to satisfy those who wanted larger, simpler, more profitable designs. In that alternative world, so only smaller, and thus less individually profitable reactors would have been built. at least for the first couple of decades. The higher safety standards and the increase in small reactor production would in turn have driven engineers faster into the meltdown-proof fourth generation technology we are seeing in some Chinese reactors today. This counterfactual would have avoided Three Mile Island, Chernobyl, Tokaimura, Fukushima, and other national catastrophes that occurred in massive, unsafeguardable reactors. In that quite plausible alternative history, nuclear power could have grown by now to a significantly larger fraction of our world’s energy grid, as it did in countries like France (80%), and the world would have a lot less greenhouse gases than it has today. But unfortunately, it would also be a world with a lot more nuclear waste, and a lot greater distributed engineering knowledge of how to build both nuclear plants and nuclear weapons, including dirty bombs (conventional explosives and nuclear waste). We’d also have a world where uranium mining and enrichment was much easier, cheaper, and more concealable than it is today. We would not have had a world where just a few rogue scientists like Pakistan’s AQ Khan were able to sell nuclear power and weapons secrets to North Korea, Iran, and Libya. Instead, we’d likely have had far more AQ Khans, perhaps selling nuclear secrets even to small terror groups, and a lot more nuclear waste. In my view, today’s version of humanity is presently just too fallible and corruptible to be entrusted with such a truly dangerous and dirty technology as broadly pervasive nuclear energy. Accelerating performance in other less dangerous inner space energy technologies, especially solar energy, make it clear that we don’t need nuclear power to increasingly decarbonize our atmosphere. It is better, in hindsight, that we kept nuclear power a small fraction of our total energy supply in most developed countries during the 20th century, and that we have focused on it for just a few applications, like our nuclear submarines. It’s also heartening that that we’re finally reducing our vast overproduction of nuclear weapons during the Cold War. The price the world would have paid for getting off fossil fuels earlier with this choice would have been living with far greater and more broadly distributed knowledge of nuclear technology, and thus potential for terrorism and misuse. So it really isn’t a clearly better past, in my view. It is true that Thorium molten salt reactor (MSR) nuclear power, experimented with beginning in the 1960s then sadly abandoned for the easier-to-build but much more dangerous Uranium and light water reactors, if it had been commercialized, might have solved many current problems with nuclear power. Thorium MSR reactors can’t explode like conventional reactors, they reburn most of their waste as fuel, and their fuel is not weaponizable, all great advances. But since my last positive public comments on Thorium power research in 2014, I’ve come to believe that even that path would not have been a wise choice, given the greatly increased engineering awareness of nuclear power, and the inevitably increased global probability of clandestine nuclear weapon design and proliferation that would have ensued. With some particularly dirty and dangerous technologies, like molecular virology and nuclear power, I am convinced that our best social policy is to keep them as little-used as possible, until we can build a much smarter, safer, more transparent world. Given accelerating AI, we won’t have to wait long for that world to emerge. 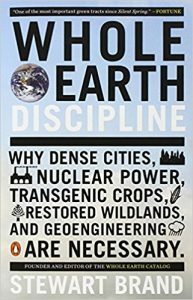 In 2010, ecotech futurist Stewart Brand published a brave book, Whole Earth Discipline: Why Dense Cities, Nuclear Power, Transgenic Crops, Restored Wildlands, and Geoengineering are Necessary in 2010, which argued that nuclear power should play a much greater role in the future global energy grid. But in the seven years since, with the Fukushima disaster, and the turning away from nuclear power by Germany and other top nations, most policy futurists think that the future of nuclear power is now nearly dead. Today we can see that building nuclear power plants today versus more solar farms, other renewables (wind, hydro, geothermal), and better battery technology, both for electric storage and transportation, is both a foolish and dangerous idea, for just about any country but China, and for a handful of energy-poor countries that China will sell their power plants to in coming years. China’s Shanghai Inst. of Applied Science is presently building an investigational Thorium MSR, and I would hope, but am doubtful, that they’ll switch to Thorium for their remaining years of nuclear power plant production. Unfortunately, there are just too many path dependencies and economies of scale around uranium processing at present to expect a new safer fuel to emerge. So hopefully, even China will turn away from domestic nuclear plant building and nuclear power plant contracting within another decade or two as well. There are now much better solutions coming available, in my view. Again, I’m happy to hear the views of others who think differently on these issues. As the chart at right shows, solar PV installations grew 95% in 2016, and utilities led the way, more than doubling their capacity. 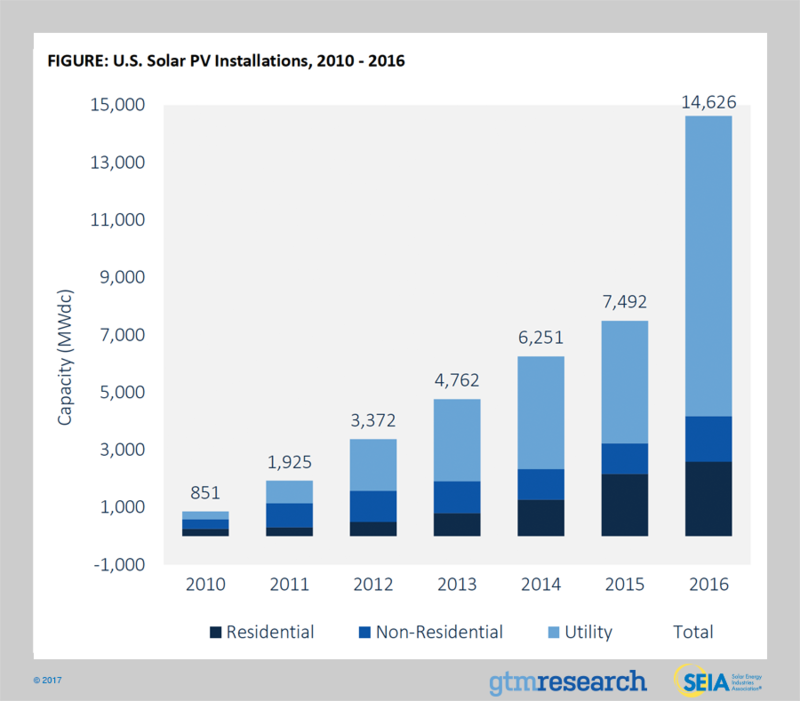 They’ve been driven there by exponentially decreasing costs of solar panels, and the still-slow growth in residential solar as a competitor. So our post-fossil fuel future is slowly but inevitably emerging. In sum, with lists of progress counterfactuals like the ones in this Guide, you will have to contend with the theories of progress and the biases of the editors behind them, which you may disagree with. I’ve tried to be explicit about mine, where I can, and I hope that is helpful. Do you have any great stories of major missed opportunities that you’d like to share? I’d love to hear them, either by email or in the comments below. I plan to eventually publish a coffee-table book and visual media around them, as an edited volume of individual contributions. The tentative title is: Better Roads Not Taken: Instructive Stories of Big Advances We Barely Missed, and their Foresight Lessons Today. Thanks for reading!